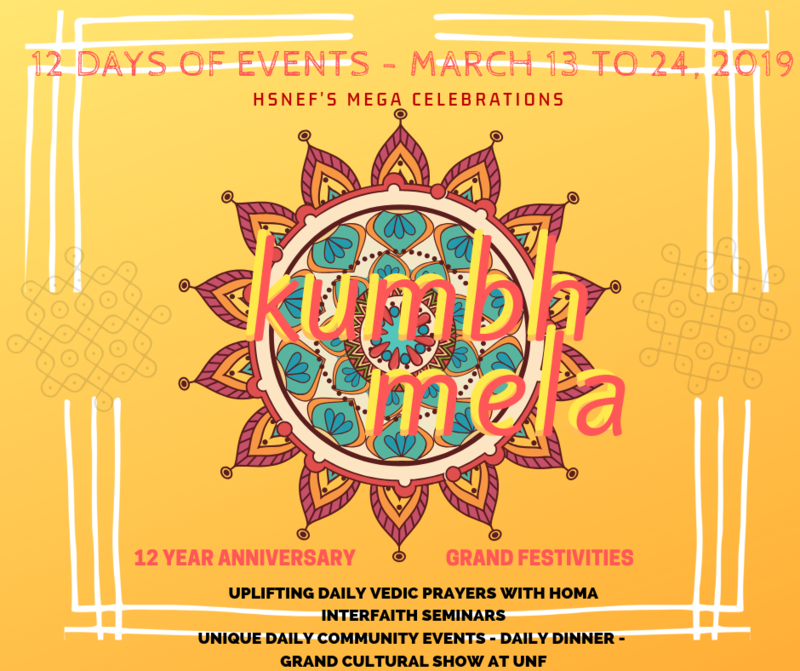 Mark your calendars and immerse along with your community for some mega spiritually and culturally charging festivities lasting 12 days marking the 12th Anniversary of our temple. Please support this grand celebration and our temples growth joining all our special event sponsorship options below and do also buy your tickets (only $25)  for grand cultural show online at temple office. Please call the Temple at (904-268-7630) for sponsorships for the event. P.S. want to remind you that all proceeds and contributions directly benefit HSNEF – which is a registered 501c Non-Profit charitable organization.